I know I'am new here and this might of been discussed before but was thinking wouldn't it be nice to have a photo section, people could put their photos and videos of days out and such into one section. Looking through the site I love seeing the photos of the dogs in people's signatures and stuff but just thought if we had a photo section it would make it much easier to see. okay not so new and didn't know!! REALLY not so new - GALLERY????? Well, slap me in the face with a wet kipper - I never knew about that! 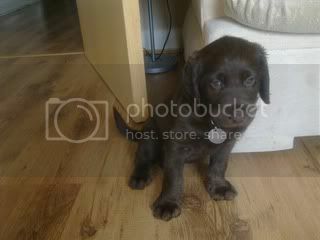 Any images posted to flickr and tagged "labradoodle" should appear automatically in the main site gallery. You may of course also upload images and videos to third-party hosting sites and link to or embed them in forum postings. 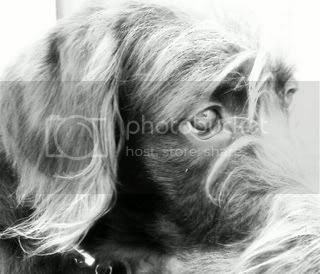 What is key to note here is anybody's image with the 'labradoodle' tag will show up on the page... there is no way that I can see to view only images related to this forum or members. I think it would be nice to add a forum category for exactly this, allowing people to link images in as they do to other posts... but this way we'd keep them all together! Beam me up Scotty... there's no sign of intelligent life around here!